Solar plexus is the chakra associated with yellow colour. This is the color of the sunshine itself. It represents clarity of thought, wisdom, orderliness and energy. Yellow symbolizes energy, intellect and also the relationship a person has with Fire and Sun. 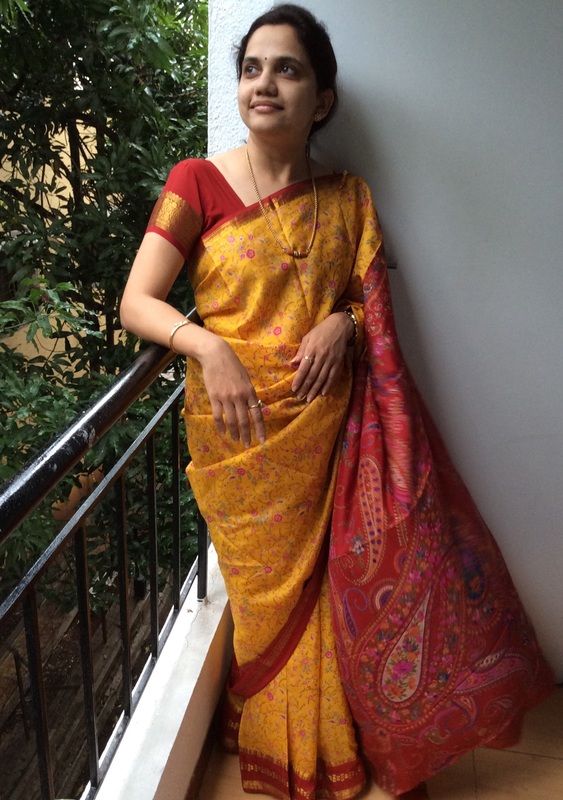 Today again Iam wearing a printed silk from my wedding trousseau, this Saree my mom bought from her friend who does Saree business. Really each Saree has a unique story behind it, which takes us past the years.